Amon Amarth announce exclusive Dublin show. 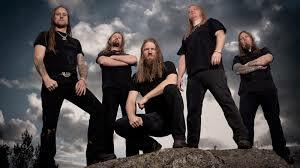 Swedish Metal Vikings Amon Amarth announced this morning that they are due to take the stage in Dublin’s Academy on Wednesday August 13th. Tickets go on sale Friday 7th February at 10am and is expected to sell faster than Dave Lombardo’s kick peddles! Today is a good day, MCD have announced that the mighty Amon Amarth will be docking their long boats in Dublin for an exclusive show as an exclusive follow up to their anticipated Bloodstock Open Air appearance. Recently the band premiered their stunning production video for the track “Father Of The Wolf” at their first show of their U.S. tour in Las Vegas, Nevada. The video can be seen below. 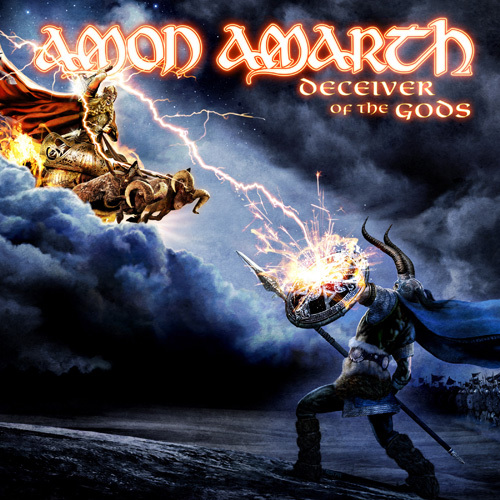 AMON AMARTH’s ninth studio album, “Deceiver Of The Gods”, sold around 17,000 copies in the United States in its first week of release to land at position No. 19 on The Billboard 200 chart. The record arrived in stores on June 25 via Metal Blade Records. 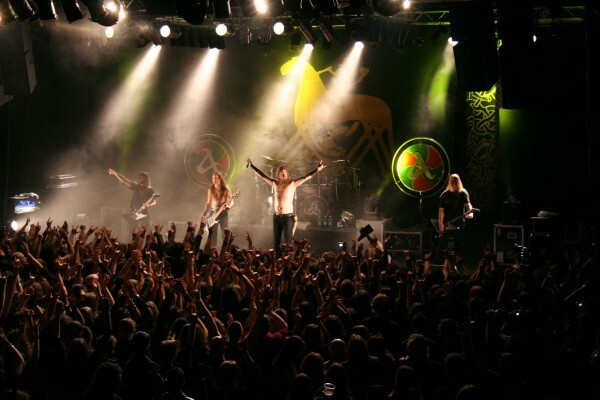 In Germany, “Deceiver Of The Gods” entered the Top 100 chart at No. 3, the official Media Market/Saturn chart at #3 and the German Media Control Weekend Trend chart at No. 2. “Deceiver Of The Gods” came in at No. 9 on Canada’s Top 200 chart, No. 2 on the Hard Music chart and No. 21 on the Digital Music chart. Additionally, the record came in at No. 2 on the iTunes Metal chart, No. 2 on the iTunes Rock chart and No. 7 on the iTunes Top 200. Elsewhere, “Deceiver Of The Gods” came in at No. 9 on the Top 100 album chart in Switzerland, No. 7 on the Austrian Top 100, No. 9 in Sweden, No. 27 in Denmark, No. 51 in France, No. 34 in Czech Republic and No. 51 in Hungary. Recorded at Backstage Studios in Derbyshire, United Kingdom, and produced, mixed and mastered by Andy Sneap (OPETH, MEGADETH, EXODUS, ARCH ENEMY, KILLSWITCH ENGAGE), “Deceiver Of The Gods” delivers ten fiery battle hymns made of buzzsaw riffs and epic harmonies all driven by vocalist Johan Hegg’s commanding Viking roar and absorbing accounts of Norse crusades and treachery. “Deceiver Of The Gods” comes adorned with another outstanding Tom Thiel-created cover portraying a mythical battle between the Norse Gods Loki and Thor. As an added bonus, Messiah Marcolin (CANDLEMASS) makes an appearance as guest vocalist on eighth track, “Hel”. Tickets for Amon Amarth go on sale on Friday 7th February at 10am and can be purchased from Sound Cellar, Ticketmaster and Into The Void Records. Support slots have not yet been announced. Check MCD Promotions for more information.